Social Security is a guaranteed source of income in retirement, and it can ease the burden on your personal retirement savings, helping you stretch your dollars further. But the amount you receive depends on several factors, including when you begin claiming benefits and how much you earned during your years in the workforce. It’s important to understand how these pieces all fit together or you could make a mistake that costs you tens of thousands of dollars in Social Security benefits over your lifetime. Here are three big Social Security faux pas you don’t want to make. Your Social Security benefit is based on your average monthly income during your 35 highest-earning years, with adjustments for inflation. If you haven’t worked for at least 35 years, the Social Security Administration (SSA) will add zeros to your calculations, and this will reduce how much you’re entitled to. If you’ve worked less than 10 years, you might not be eligible for Social Security retirement benefits at all. It’s worth noting that these years don’t have to be consecutive. 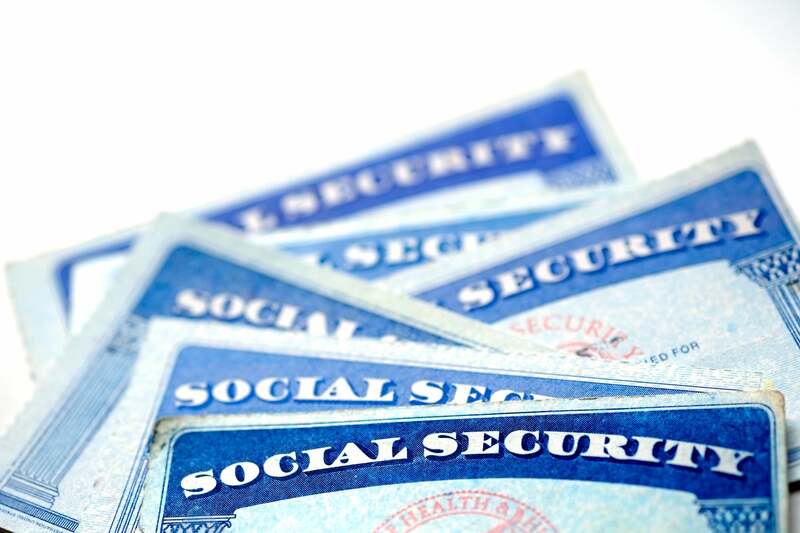 The SSA uses a credit-based system to determine Social Security eligibility. In 2019, you earn one credit for every $1,360 you make, with a maximum of four credits per year. You need 40 credits (10 years) to be eligible for Social Security. Everyone should create a My Social Security account with the SSA. This will give you an idea of how much to expect from Social Security if you start taking it at different ages, and you can also view a copy of your earnings record. It’s important that you check this information every year to be sure it’s accurate because this is what your benefit is based on. If the SSA has the wrong information, it could underestimate your average monthly earnings, which means you’ll get a smaller check than you deserve. There isn’t anything you can do about it either, unless you have the tax documents to prove how much you actually earned. This is why you shouldn’t throw out any of your tax paperwork unless you’re confident that the government has your correc t earnings for that year recorded. If you find an error, fill out a Request for Correction of Earnings Record and submit this to the SSA, and then check your Social Security account to make sure the record is updated. It can make sense to claim Social Security early if you have a terminal illness or if you cannot survive without the money, but if you expect to live a reasonably long life, it’s usually not in your best interests to start claiming as soon as you’re eligible at 62. You aren’t entitled to your full scheduled benefit per check until you reach your full retirement age , which is currently 66 or 67, depending on when you were born. For every month you take benefits before this age, your checks will decrease. If you start at 62, you’ll only receive 70% of your scheduled benefit per check if your full retirement age is 67, or 75% if your full retirement age is 66. It’s difficult to know the best age to start Social Security because you can never be sure how long you’ll live. But you can estimate how much you would get if you started at different ages. First, estimate your life expectancy based on your personal and family health history. When in doubt, it’s best to figure on the high side. One in 4 65-year-olds today will live past 90, according to the SSA, and 1 in 10 will live past 95. Then, use your benefit estimates in your Social Security account to help you determine how much you’d get each month if you started benefits at different ages. Multiply each of these amounts by 12 to get your estimated annual benefits and then multiply these numbers by the number of years you expect to receive Social Security to get your estimated lifetime benefits. For example, if you expect to live to 87 and you’re entitled to $1,000 per month at your full retirement age of 67, you’d multiply $1,000 by 12 to get an annual benefit of $12,000 and then multiply this by 20 years to get an estimated lifetime benefit of $240,000. Social Security won’t cover all your expenses in retirement, but it can take a bit of pressure off your personal retirement savings, especially if you avoid the above mistakes.